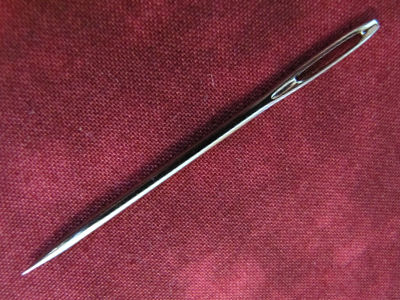 Size 14 chenille needle. 2-9/16" long. Great for wide ribbons used in embroidery. Less fraying and easy to thread.